We’ve been living aboard our 52 ft. sailboat for the last few days. Although both don and i have had some sailing experience, it’s comforting to have a captain to navigate the coral reefs and sandy islands (motus). His name is Alain, and he is French. To listen to our conversation would be entertaining as we flipflop from french to english and back again. For whatever reason it’s easier this way and everyone gets more out of our conversations. We are pleased and surprised by Gwen’s ability to speak French. The boat is comfortable, has five cabins, three heads, and a large living area with a long galley, stove, and big icebox. 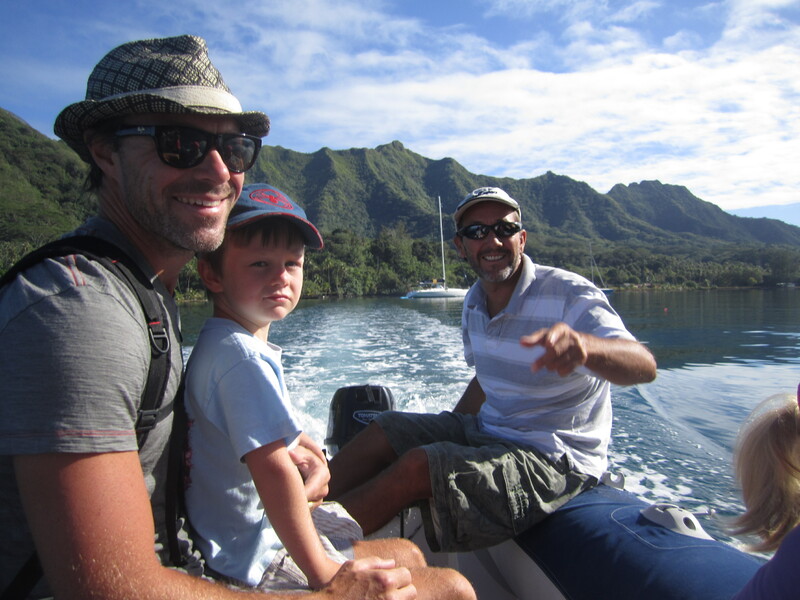 We provisioned the boat on Raiatea island, a short flight from Tahiti. The store where we bought our food had Giant hunks of tuna, tenderloin, escargot, an abundance of fresh fruit, and long baguettes; so as you can imagine we are eating well. Yesterday, Alain brought us into shore to a place called “Riviere de Corail”, which is precisely what it’s name implies. The current was decent, and pulled us along through a maze of shallow coral. I was impressed with Kate and Gwen. Without much fear they were able to swim past giant sea urchins, and anemones and follow each other through narrow passages of sometimes jagged coral. Elles ont beaucoup de courage ces deux. Today, we are on our way to bora bora. Thank you for this!!! More, more, we want more…words and photos : ) We’re loving learning about your trip and through your posts feel like we are (almost) experiencing it with you! I think about you guys sporadically throughout each day, but it seems whenever I have a long wonder about what you’re up to you send a post. Nice. Miss you like crazy and so happy that you are having such a fabulous time. Many Swift memories are coming to the surface as you can imagine, can seriously relate to the stormy night story. Alain looks awesome, fun and a good match sounds like! Would be great to hear the Fr-english onboard. Yay to Gdot for her excellent French speaking abilities. Lots of love and hugs to all of you. 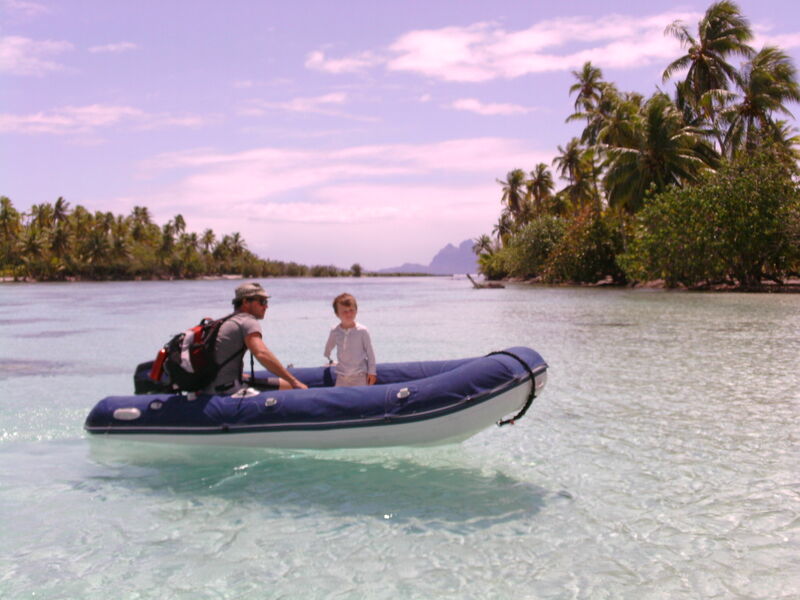 Look forward to hearing all about Bora Bora. xo K & The Hodge Family.